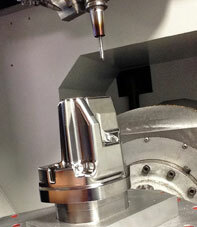 Illinois machine shop uses ultra-precision 5 axis milling to drive down cost and lead time. 3D Industries provides 5 axis CNC milling services that achieve .0001 accuracy. 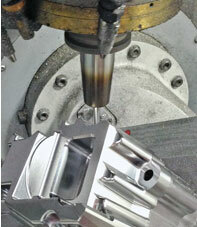 We specialize in simultaneous 5 axis contour machining as well as 5 axis positional machining. It takes more than just the most accurate machines on the planet to perform this level of machining. 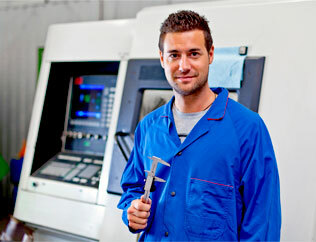 Our 5 axis milling engineers are professional machinists. They design, program, fixture build, set up, and CMM check the components themselves, running the job from start to finish. Contact our 5 axis team today to discuss your next machining project. What are the benefits of 5 axis CNC machining? Machine complex shapes in a single setup for increased	productivity. 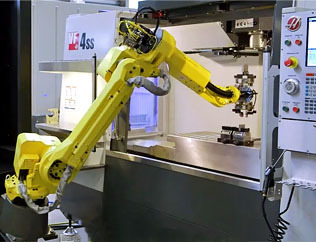 With 5 axis (3 + 2), the machine executes a 3 axis	milling program with the cutting tool locked in a tilted position	using its two rotational axes. The process, also known as 5 axis	positional machining, relies on the fourth and fifth axes to orient	the cutting tool in a fixed position rather than manipulate it	continuously during the machining process. Save time and money with less fixture cost and preparation. 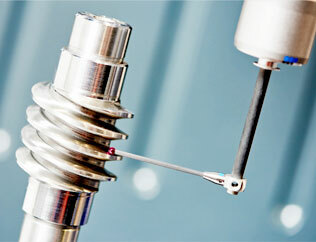 Boost throughput while shortening lead times. Higher part accuracy because the workpiece does not move across	multiple workstations. Ability to use shorter cutting tools for higher cutting speeds and less tool vibrations. 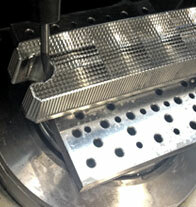 Achieve superior surface finishes and overall better part quality. Recent 5 axis projects completed by 3D Industries. The benefits of 5 axis machining aren’t limited to their precision cutting and curved hole cutting capabilities. The entire production process is improved when 3 axis capabilities upgrade to 5 axis capabilities, opening the door for new possibilities in future jobs. Our Precision 5 axis milling services sets us apart from the competition. 3D Industries has been an industry leader in 5 axis machining for over 15 years. If you are in the precision component business you know how much effort goes into these projects. 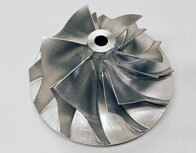 We seek out these challenges, knowing our 5 axis machining team has the drive and experience to make the most complex components, like impellers and turbines with the highest accuracy.